Your case studies need to be persuasive and memorable to attract new customers. 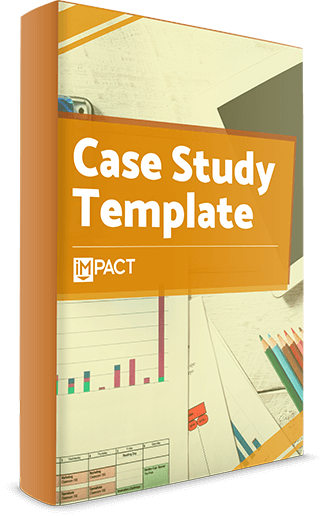 At IMPACT, we use a time-tested case study template to ensure that each new client success story we write engages prospects and drives results. Now, for the first time ever, we're sharing this invaluable resource with you. The most important step in creating a case study is gathering all of the right pieces of information. In this brand new four-page template, you'll find every question you'll need to answer in order to craft a compelling case study that will make your prospects pick up the phone and say, "Hey! I want to work with you!" Once complete, you'll have a comprehensive, organized case study outline at your fingertips. What are you waiting for? Make the most difficult part of writing your next case study a breeze with this time-saving tool. Simply fill out the form to get your free case study template now!